NASCAR, a series that adores bunching all its cars up for contact-prone restarts, just announced a new Damaged Vehicle Policy in the name of “safety.” What it also does is make it easier than ever to wreck your nemesis out of the race. Repairs, such as fixing damaged sheet metal, will be allowed; however, teams will be given five minutes to fix damage once they enter pit road. If the damage requires the car to go behind pit wall or to the garage for repairs, the car will not be allowed to return to the race. Also, if the repairs take longer than the five minutes allowed, the car will not be permitted to return to the race. Cars back on track must maintain the minimum speed limit for the event, in an effort to ensure that no one sort of fixes a car, lets it back out for a slow lap, and then brings it back in so they have more time to fix it. The five-minute clock for repair time is reset if a car has to come in for more repairs later in a race. When the inevitable “revenge punt” happens, this will ensure that the recipient will be completely hosed, with no chance of driving their way back into a decent points result. Deep under the layers of silliness that is NASCAR’s playoff-style championship, there are still points to earn. A fast driver who crashes early often still has a shot at a mid-pack finish, which earns vital points for the championship. In other words, this rules change could get very ugly if it applies to the wrong car in the heat of Cup Madness. This is, of course, coming from the SVP of the series that just decided to bunch their cars up at predetermined intervals for more “action.” What’s that old saying again? Restarts beget restarts, as that’s one of the most crash-prone times on track? Yeah, that. Miller also noted that it’s easier for officials to monitor fixes happening on pit lane, however, it’s still an active pit lane. A garage will always be a safer place for repairs, as the only car a crew must be mindful of while making repairs is their own. There’s a much easier, fairer way of handling this. 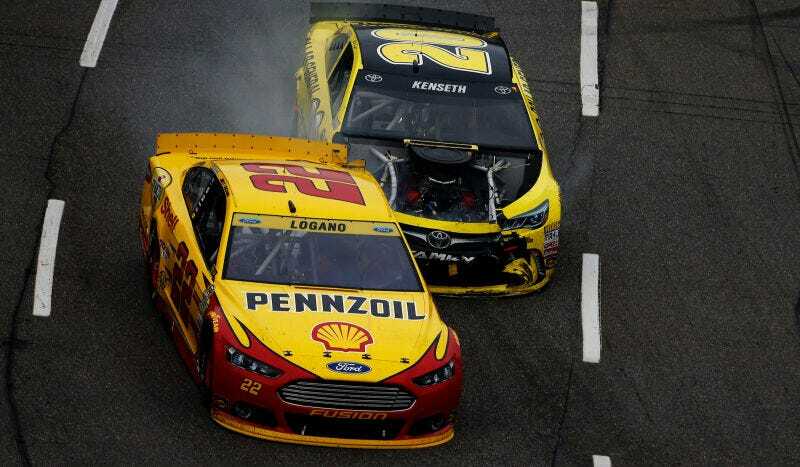 Should marshals deem the car barely held together by tape and spit unsafe, don’t let it out on track. Give the team a good “are you kidding me?” stinkeye, tell them “y’all know better,” and make them fix it for good—preferably without a five-minute limit so no one rushes a bad fix. Sadly, this will rob NASCAR of some of its most heroic moments, where a crashed car comes back to a decent finish, despite time spent fixing it in the garage. 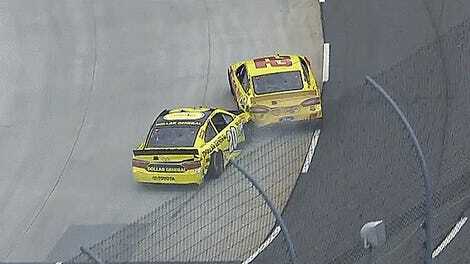 Thanks, NASCAR.